BIGBANG's T.O.P has been caught smoking marijuana illegally. The artist has been tested for the usage and the result came back positive. The usage of the drug was back in October of 2016. Why he was tested 7 months after he smoked it is uncertain. Seoul Police Narcotics Crime Investigations said they conducted testing using a hair sample. In their statement they reveal they had suspicions of illegal activities related to drug use. 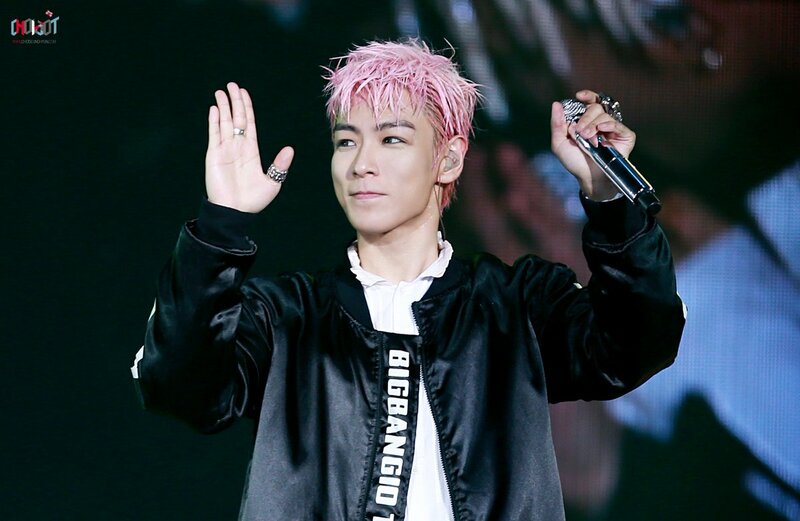 These suspicions stems from the fact they arrested a friend of T.O.P who claimed they've smoked marijuana together. "First, we would like to convey our deepest sincerest apologies. After confirming details, Choi Seung Hyun [T.O.P] was in fact summoned for an investigation, under suspicion of smoking marijuana before his military enlistment. He has complied with the investigation and has admitted to most of his crimes and is deeply regretting his actions. We are sorry to worry so many people." The police has further issued a statement related to the fact T.O.P is serving his enlistment in the police department. The artist was summoned and questioned by police, but in fact his charges haven't been proven and thus his enlistment hasn't been affected. After the story broke, a woman came forward to reveal she also smoked marijuana at T.O.P's home. The police reports claim the artist smoke marijuana three times between October 9th and 12th. The woman who is in her 20s were smoking the marijuana in his home in Seoul, South Korea. The woman has since then been identified as a female trainee, although it's unclear whether or not she's a trainee with YG Entertainment. The trainee is being held by police under the suspicion of drug use.